"Anti-inflammatory omega-3 DHA fatty acids are essential for eye and brain health. 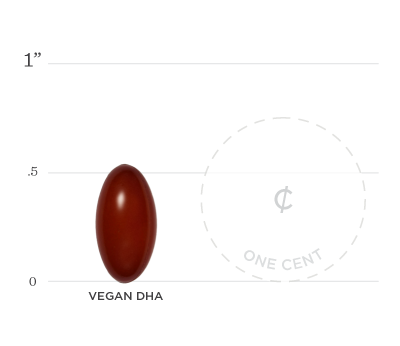 If you''re not a fish-eater, omega-3 DHA supplements fill the bill." -Michael Roizen, M.D., And Mehmet Oz, M.D. Docosahexaenoic Acid, or DHA, is a long chain omega-3 fatty acid that supports brain health, eye development and promotes normal inflammatory responses in the body. Many DHA supplements are sourced from fish, but our vegan-friendly DHA is sourced from algae and is encapsulated in a vegan softgel for easy delivery. When the body receives adequate amounts of DHA, it is able to produce the hormones needed for proper immunity, brain and eye health. 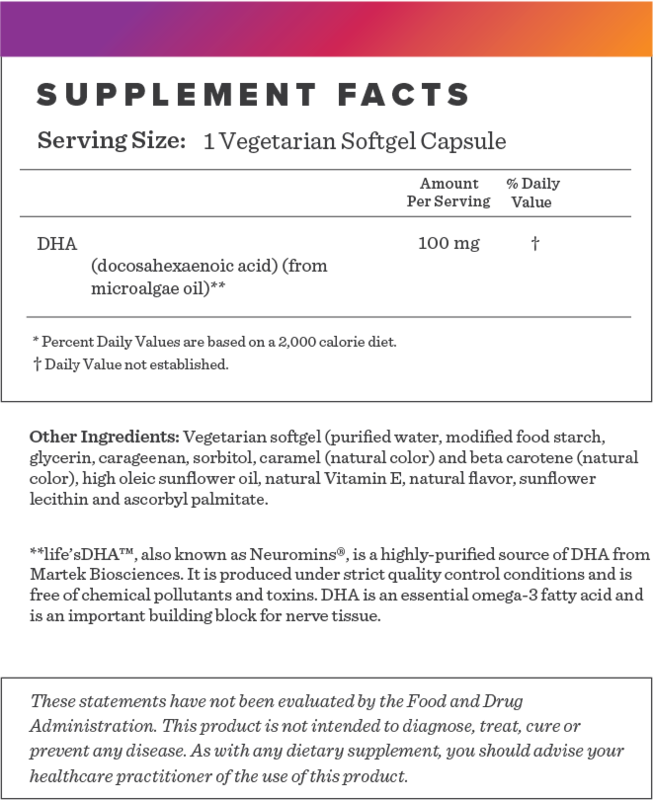 Below we've broken down the main functions of our Vegan DHA and the benefits it can provide.